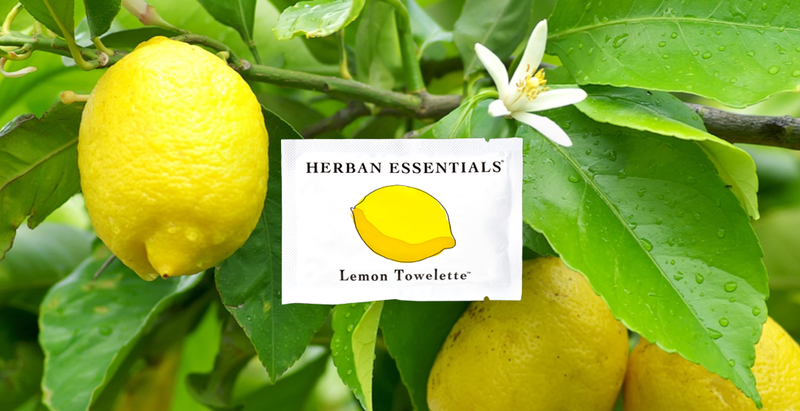 WHAT: Herban Essentials are essential oil-infused towelettes used to cleanse and disinfect your hands, feet, body, yoga mat (or anything else you decide rub clean). Available in essences of Orange, Lemon, Lavender, Peppermint, Eucalyptus. 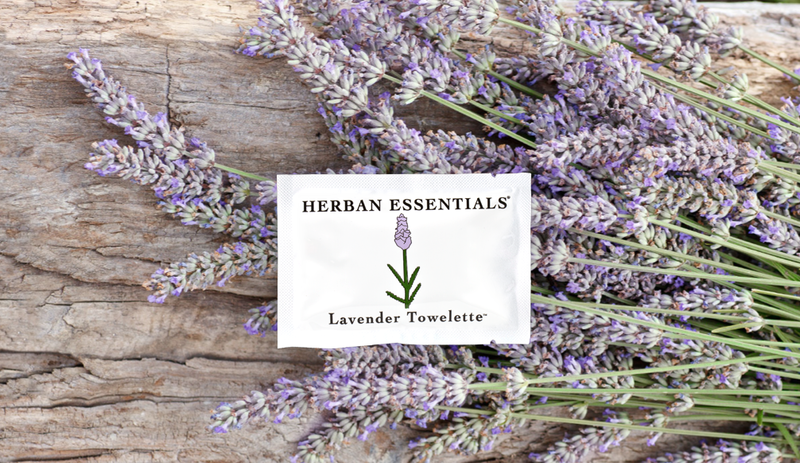 WHY: Herban Essentials are made with organic, wild grown, therapeutic-grade, cold pressed essential oils. Essential oils* are highly concentrated plant extracts known for their antibacterial and antiseptic properties (not to mention their amazing natural fragrance – no perfumes or dyes). Their antibacterial properties make them incredible for cleaning (oils that are best for cleaning are: Lemon, grapefruit, eucalyptus, peppermint, tea tree, lavender, and rosemary). The ultimate hot yoga essential! 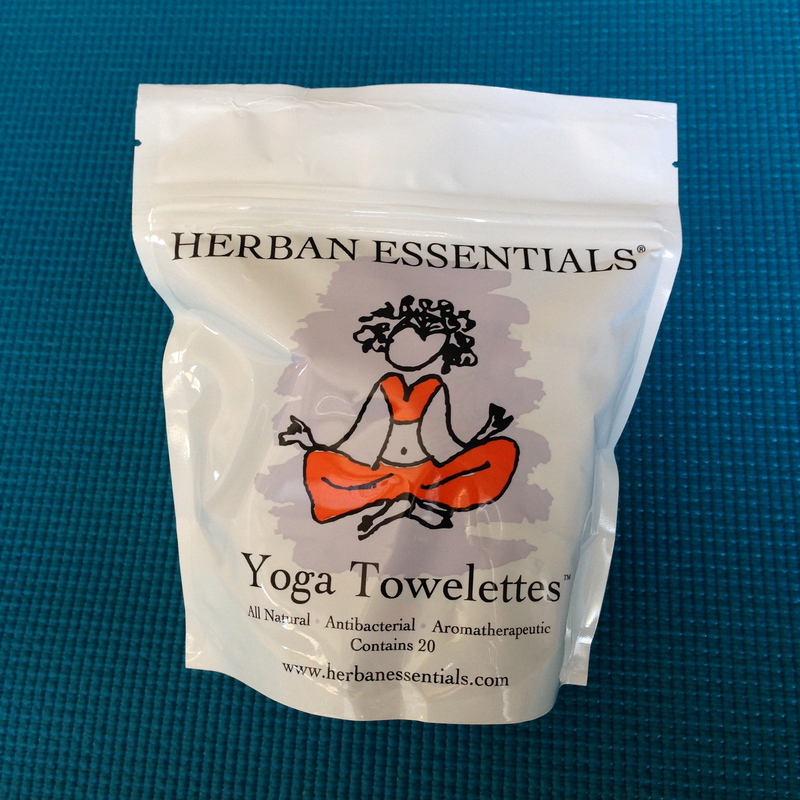 WHERE: Available online at Herban Essentials or at health food stores such as Whole Foods Market, and Erewhon Natural Foods Market ; $16 for 20 count individually wrapped towelettes. Essentials oils are also known to be healing to the skin, hair, and nails (lavender and rose will usually be best for this). 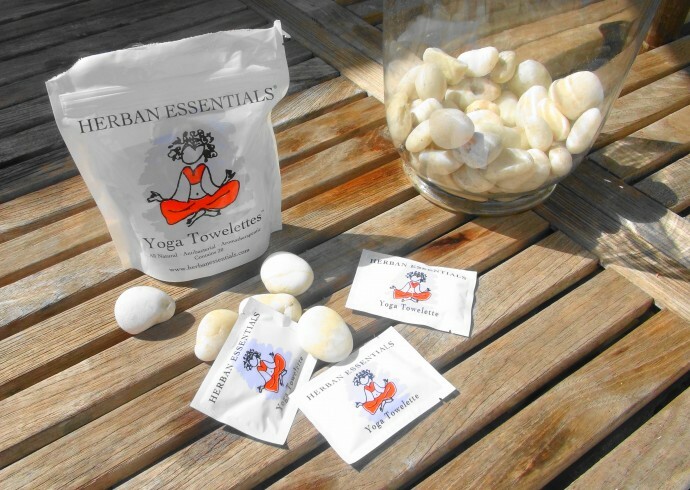 THE VERDICT: I absolutely love Herban Essentials for a quick body wipe after hot yoga (or any other sweat-dripping workout). They smell incredible and are great even on sensitive skin.